A friend of yours just verbally committed to a college program and he is in the middle of his junior year. But you also remember that an older friend committed as late as in the summer after her senior year. That makes quite a difference as regards the start of the recruiting process and you are confused not only about when's the right time to get started, but also about the right time to commit to a school? 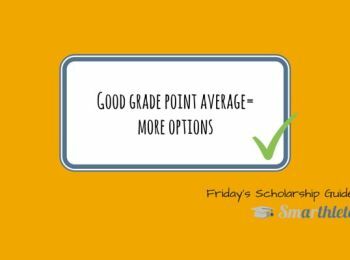 Let's get to the bottom of when you should ideally kick off the necessary preparations to receive a scholarship offer from your dream school and accept the offer in this edition of the Friday Scholarship Guide! Let's face it. Most kids at age 14 haven't fully wrapped their head around their future dream career after graduating from high school. And there is absolutely no need to have it all figured out at that age either! Develop your game, develop your skills, develop your level of play! A year has passed and chances are you've come quite a long way when it comes to your thoughts about the future. Perhaps you have identified that playing college tennis is the way forward and nothing in your power is going to stop you from doing that. If that's the case, wonderful. Let's get to work! 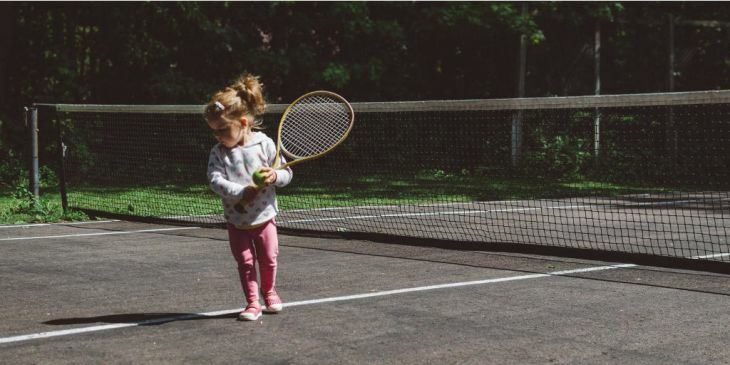 Create a list of tennis programs you are most interested in. Make sure these schools are interesting to you academically. Take SAT and/or ACT practice tests. Register with the NCAA and/or NAIA Eligibility Center. You haven't yet fully exploited your potential, for example you had been out with an injury for a while. 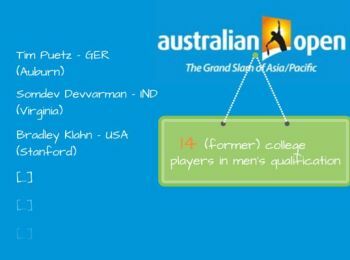 Perhaps you expect to be playing strong tennis at the upcoming tournaments. Or maybe you are about to shoot a highlight video, which you'd like to share with the coaching staff right away. As a rule of thumb, in the event of reasons that make you more attractive to a college coach (academically, athletically) in the near future, sitting still and waiting is recommendable. Many coaches only take the time to review your potential once - make sure you don't squander your opportunities! Contact coaches on email and/or give them a call. If you like, you could plan on attending showcases. Maintain good contact with interested coaches and keep them informed on your schedule. Make unofficial visits if you are in the position to do so. This is also the high school year during which you should take the ACT or SAT test for the first time. Many students decide to retake the test - you might want to buy yourself enough time to eventually do so as well in case necessary. 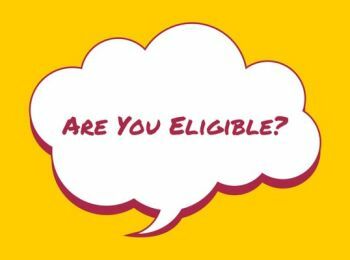 Don't forget to stay on top of things with everything related to your eligibility. And finally, keep up your grades and remain focused on growing your game. Perhaps you receive a verbal commitment from a coach already in your junior year. If that's the case, you may either accept the commitment, which puts an end to your recruiting process or you decline the commitment. Definitely keep in mind that verbally committing doesn't mean you are accepted into the school yet. You still need to meet all of the admissions requirements by the university. Keep a close dialogue with the school (the coaching staff) to make sure you are on track! Time is ticking and your future choice of college is not only around the corner, it's literally in front of you. What's your level of play and what schools could you potentially qualify for and make the team? Is your college short list up to date? What is it you are looking for in a school academically? Top ranked, challenging or any kind of college is good enough? How about available undergraduate degrees at the various schools? How about the costs of the schools on your list? 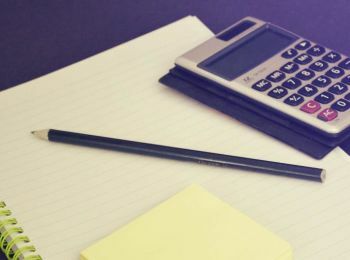 How much scholarship money could you potentially qualify for? Does this add up with the available budget and financial support you have from your family? Finally, what is it you're looking for in a head coach? What kind of personality? What college setting would you love? Small city, suburban or you don't really care about any of that as long as all the other things are in place? Ideally, your short list of schools is already perfectly researched and you don't need to re-look at it in your senior year, but it happens and there's still time! But be realistic about it, challenge your expectations and don't get caught up wasting time. Also, unless you're one of the top players, you really do want to be proactive about talking to schools. There's no need to sit around and wait at this point - GET YOUR NAME IN FRONT OF COLLEGE COACHES! Senior year is also all about going on official visits, if you have the chance of doing so! Did we mention to keep up your grades all the way throughout your final year? No? Well, that's an important one too! Finally, make sure your application materials are bullet-proof, flawless and respond to admissions offices and college coaches in a responsive manner! As described in the beginning, some people will have started their process earlier, whereas others a little later. Don't let that get to you. Instead, create a plan with your parents that works for you. After all, it is about finding the perfect match for you as a person, player, and student and there's no "one-size-fits-all" recommendation of how long that process takes. Lots of scholarships are being awarded during this time period (one week) in NCAA Division 1 and Division 2 and written commitments made shortly thereafter. Lots of scholarships in divisions other than D1 and D2 are being awarded around the same time of the year, as coaches are busy building their teams for the fall of next year. If you manage to get the various elements of your recruiting process on track well before fall season of your senior high school year, then you have good reason to be confident about making the right choices at the right time. Yes, there are cases where an athlete commits to a school just weeks before classes start. But honestly, why go through all that hassle if you can also make such life-long decisions in a significantly more stress-free context? 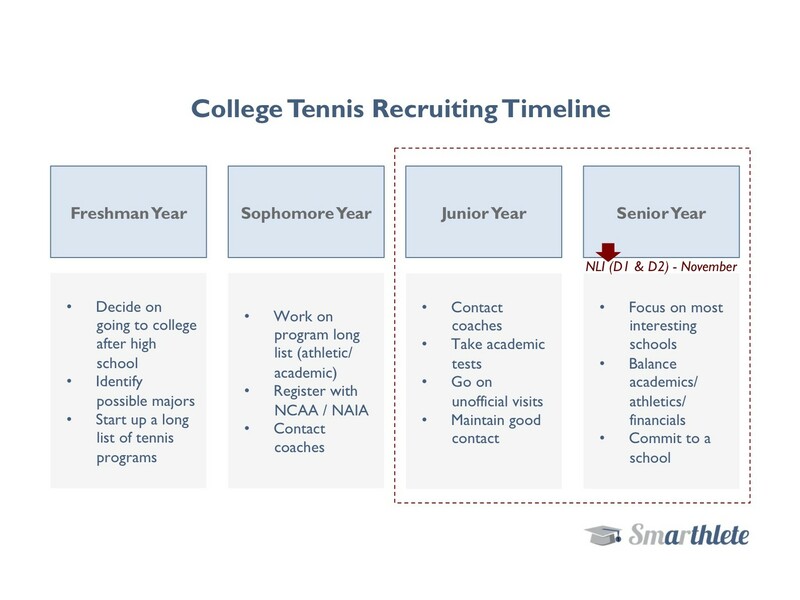 This was Part 1 of our blog article about when to start the recruiting process in order to find a scholarship for college. Part 2 will be published in 2 weeks' time and that one's going to be specifically for the group of Internationals out there, looking to get recruited. You can also sign up for our newsletter on the right side of the page and get the upcoming article(s) delivered to your email inbox!